Foreman tools 15” pull-offs are based on the traditional style of the British pincers. 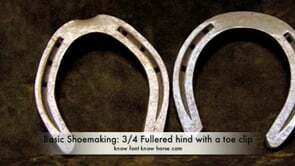 The design of the jaws of these British manufactured pull-offs allows horseshoes to be removed effortlessly from Shetland to Shire and Racer to Racehorse. 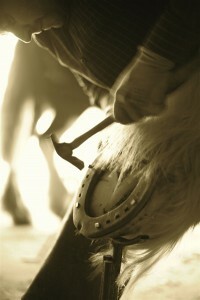 Jim Blurton, World Champion Farrier 2005, has been a practising farrier for over 30 years. His father was a farrier and encouraged him form an early age to follow in his footsteps. Jim served a thorough apprenticeship under his father’s watchful eye and was taught skills gleaned from over 40 years. At the age of 18 Jim knew he wanted to be the best in the world and started competing in local competitions. 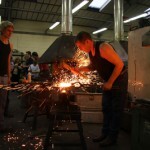 It wasn’t long before he quickly established himself as a one of the best farriers’ in the Shropshire district. By the age of 20 Jim was winning national competitions and representing Wales in International competitions. In fact Jim has now been representing his country for 29 years in home internationals and world team events. For the last 4 years Jim has been manager of the Welsh Team and was proud to collect the World Team Championship in August 2008. He has won over 200 competitions worldwide including the prestigious National Championship and European Championship. Jim finally achieved his dream of becoming the best in the world in 2005. 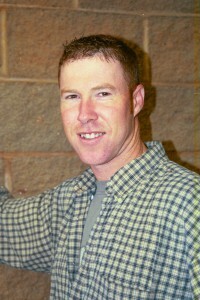 After nearly 15 years of regularly finishing in the top 5 at the world championships Jim was crowned World Champion in Calgary. After moving to Forden, near Welshpool, Jim started to expand the Farrier business, taking on apprentices and qualified staff. In the last twenty years over 15 apprentices have learnt their trade with Forden Farriers, many of them going on to International competition themselves. 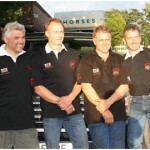 Jim now employs 9 farriers and covers an area from Cheshire down to Gloucester. He shoes for some of the countries most prestigious and successful Eventing, Show Jumping and Dressage yards and is regularly asked to consult for veterinary practises. In the early 80’s Jim started making his own tools to help him improve his skills. The quality of the tools was quickly recognised by other farriers who asked him to make tools for them. It was not long before he was approached by the leading farrier suppliers in the UK to manufacture tools for national distribution. His tools established themselves as some of the best available and it was not long before Jim was exporting his tools to the USA. The business has grown year on year and Jim is now widely regarded as the UK’s number one manufacturer of quality farrier tools. The tools are now exported to over 70 countries and Jim now has the most comprehensive range of quality tools on offer worldwide. Jim Blurton Specialist Horseshoes was established in 2007 and has very quickly become the world’s leading supplier of quality remedial shoes. The launch last year of the revolutionary Heart, Egg and Straight Bar shoes has seen Jims reputation as a worldwide expert on remedial shoeing and shoemaking enhanced further. This year will see the launch of a new Graduated Bar Shoe with a Graduated Shoe following later in 2009. Alongside this successful business Jim is regularly asked to run clinics in the UK, Europe, USA the Middle and Far East. 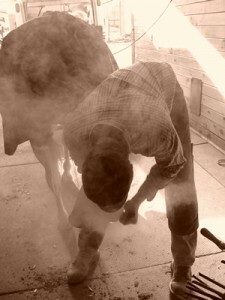 With his reputation as an expert in remedial shoeing and shoemaking Jim is much in demand by equine establishments worldwide. He also runs consultancy clinics on shoe making and foot rehabilitation. It was in 1989 when Nigels journey in to farriery began, and he was apprenticed to training farrier Tim Godfrey in Farnham Surrey. 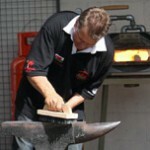 In 1995 Nigel qualified with the diploma of the worshipful company of farriers. After gaining more experience and working hard in all aspects of farriery Nigel carried on his interest and study of farriery, to go on and achieve the Associateship of the worshipful company of farriers in the year 2000. 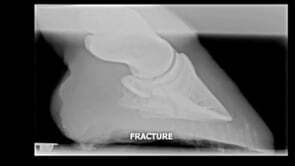 Nigel took full advantage when the opportunity arose for him to work for 2 years as the surgical farrier for the world renowned specialist laminitic veternary surgeon Robert Eustace FRCVS at the laminitis clinic Wiltshire England. 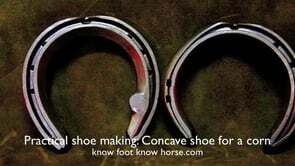 In Hampshire where Nigel runs his successful shoeing business, he shoes various types of horses rangeing from hunters that go with the Hampshire hunt to Eventers/Dressage/ShowJumpers that compete to all levels not to mention the number of pleasure horses that he shoes. Shoeing shires is always a hard but a pleasing challenge to Nigel,he looks forward to shoeing the small number of showing shires that he looks after including, the Fullers Brewery Shire horses. There has been many mentors in Nigels farriery career , he has included, all the competitors he has competed along side for many years, they have given vital information by demonstrating and helping him practice and improve his skills. Predominatly in the beginning for the shoeing and shoe making Colin Smith FWCF(hons), Henry Gregory RSS(hons) and Adrian Devereux who introduced me to it all !! 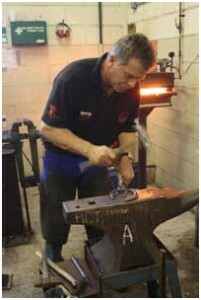 Nigel now offers clinics for further education and is available for one to one, and groups including CPD clinics recognized and approved by the worshipful company of farriers.Clinics can also be given abroad.